Scene from a Field Gun competition at the shore establishment on Whale Island, Portsmouth, circa 1900. 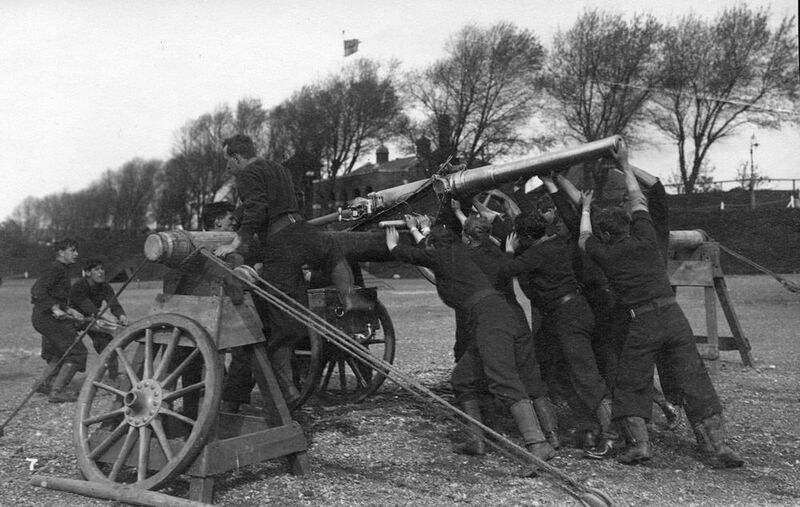 Crew pictured passing a gun barrel over an obstacle. This Field Gun Competition at Whale Island Art Print is created using state of the art, industry leading Digital printers. The result - a stunning reproduction at an affordable price.